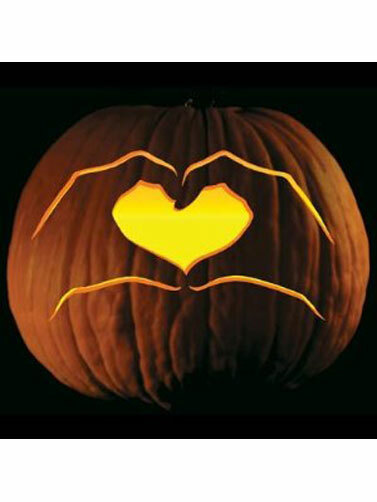 Create the look of heart hands on your Halloween pumpkin with this easy to use pumpkin tattoo pattern. Apply tattoo with water and remove paper to apply the pattern and you are ready to carve. Heart Hands Pumpkin Tattoo measures 8"H x 8"W.